The reason the Department of Homeland Security is protecting ______ is because we are all about protecting the homeland. No, not "airspace." I mean, they may protect that – it's really what DHS was formed to protect – but it's not what he said. No, not "ports" or "stadiums." "Nuclear material" – no, good guess though. Or, at least, it would be a really good idea to protect that. 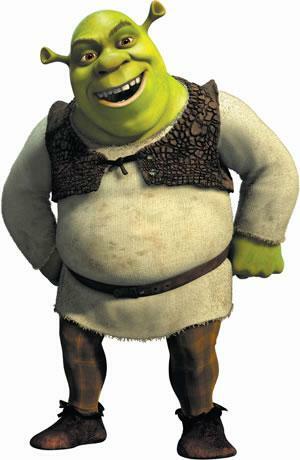 The reason the Department of Homeland Security is protecting Shrek is because we are all about protecting the homeland. We're all about protecting American interests. If you don’t think undermining Hollywood’s ability to produce a "Shrek," undermining the creativity that goes into creating a "Shrek," undermines the United States, you are sadly mistaken. Morton said this at Walt Disney Studios, where he held a press conference on the topic of "Operation In Our Sites," which is aimed at shutting down Internet sites that are streaming illegal movie downloads. It might seem like a fair question to ask whether fighting illegal downloading is really part of what DHS should be doing at all, or whether it is worth the risk of distracting DHS even in a small way from its main task of keeping people from getting killed, but I guess if you think that you are sadly mistaken. The DHS budget request for 2011 is $43.6 billion, including $734 million for the virtually useless but thoroughly creepy whole-body-imaging airport scanners. The TSA component of DHS would get a $600 million increase to $5.7 billion, possibly to pay for enhanced pizza-box advertising, and the Domestic Nuclear Detection Office has been cut by $70 million. There does not seem to be a particular line item in the budget for Shrek Protection, but if it turns out to be exactly $70 million, and then I get blown up by a nuclear bomb they failed to detect, I'm going to be really pissed.